Honor, a leading smartphone e-brand, has announced its latest smartphone in the Honor C-series line-up today– the Honor 8C. The new smartphone raises the bar for budget phones by providing advanced features at an astonishingly low price of Rs26,499 and will officially be available from Saturday, the 9th of February 2019. This top-end battery powers the flagship hardware of the Honor 8C including its elite camera capabilities: an AI-powered dual-lens 13MP + 2MP rear camera with a large F/1.8 aperture capable of recognising up to 500 scenarios in 22 different categories in real-time, and a 8MP front camera offering selfie-toning soft flash and augmented reality (AR) to create emoji. Honor 8C continues in carrying forward Honor’s dedication to design aesthetics. The new smartphone is available in three colours – blue, black, and gold – with the blue Honor 8C being the first Honor smartphone to feature the “cat eye” effect, a silky gem-like glow created by the band of reflected light that moves and shifts when viewed from different angles. It also has a curved 7.98mm thick body to ensure a comfortable grip. 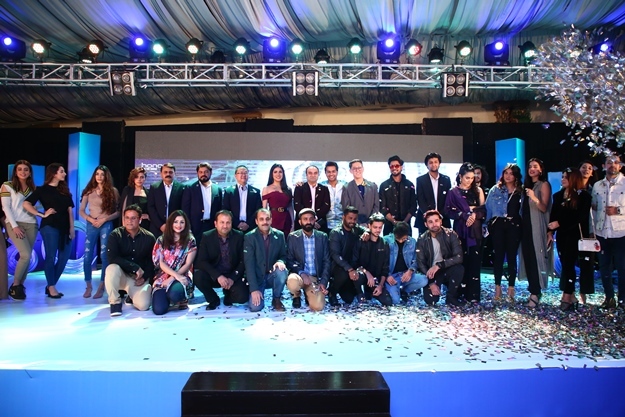 The event was held at the Pearl Continental Hotel, Karachi. The media meetup event was a spectacular occasion that saw the hall decked with some of the country’s brightest stars and many upcoming talents. 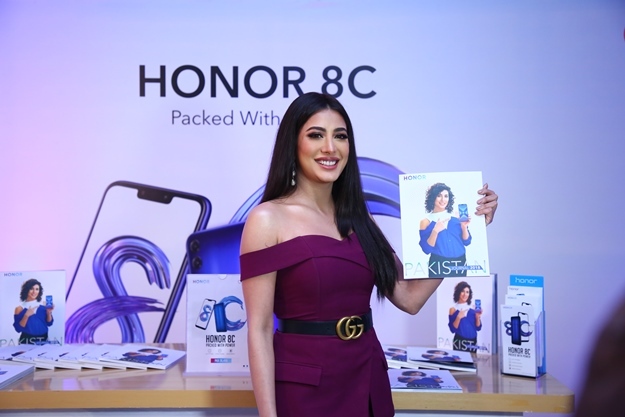 The star-studded affair with many of our country’s top celebrities, most notably superstar Mehwish Hayat accompanied by her brother Danish Hayat, who has been making his way onto television screens nationwide. Stay connected to know more about Honor 8C here.